Police are working around the clock to arrest the murderer who stabbed a 50-year-old Reservoir Hills woman to death inside her crèche classroom, on Saturday. Queen Nyuswa, principal of The Little Flower School on Hermitage Street near the Durban High Court, was brutally stabbed and bitten in what appeared to have been a violent tussle at the weekend. She was found lying face down on the floor of the blood splattered classroom. Police investigations revealed that about R50, 000 was taken from two safes in the building. It is alleged that the suspect sought by police is known to the deceased. Police spokesperson, Lt/Col Thulani Zwane, confirmed that a murder investigation is underway. same building as well as the Little Flower Preschool on Dr Goonam Street (Prince Edward Street), in the Durban CBD. Hours after her body was discovered, her family, friends and staff gathered outside the building as they processed the details of the heinous murder. According to reports, an educator entered the classroom and saw a person who appeared to be sleeping on the floor. 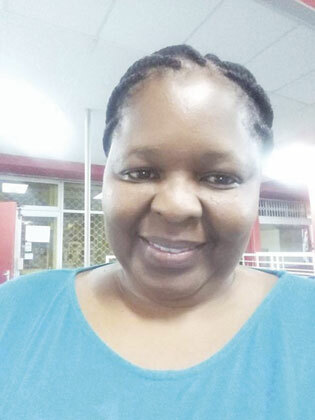 The educator called a gym employee for assistance and the discovery of Nyuswa’s body was made. Those who knew Nyuswa, praised her for her heart of gold and said she had an incredible affinity for children even so far to reaching out to youth on the street. Nyuswa’s employees also commended her for her care and compassion for them. What’s the buzz about Black Friday?